One of your sash windows will no longer open or it gets stuck sideways when you attempt to open it. Perhaps some of the windows are rattling and they look old and tried. Many UK residents are seeing the advantage of restoring their old windows instead of buying new ones. 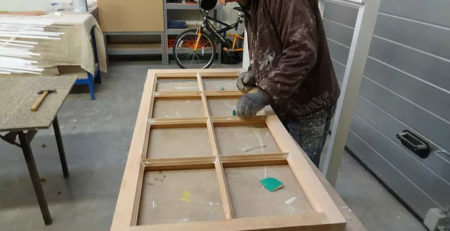 If you are looking into wooden window restoration, here are some helpful tips on getting the best sash window renovation prices and services. Do you know anyone that had this kind of work done lately? If so, talk to them about a referral. This is one of the best ways to get firsthand information about a company. It also is a good way to find out about a service that is unsatisfactory. If you cannot get personal referrals, check the Internet. There are many websites that post reviews of businesses. You may need to search for the business name with the word “reviews”. This could bring up some helpful information. When you check out sash window repair companies, find out about qualifications. For example, some companies may be members of local or national organizations that do home or window repairs. This lets you know that you are dealing with someone that has the proper training for the job. Visit the website and check it out. Look to see if it is designed in a professional manner. The WebPages should be quick to load and you should not have any problems navigating the website. This tells you that you are at the website of a professional service and values your experience online! While you are looking at websites, this is the perfect time to check out portfolios of work carried out; any decent sash window repair company will surely exhibit its quality workmanship. Some services post images of past work they have done. This can give you a good idea of the kind of work they are capable of. If there are no online portfolios, email the company and ask if they have any photos of past projects. There is nothing wrong with getting several estimates for the job. In fact, you should inform the sash window service ahead of time. If they have a problem with this strategy, there could be something wrong and you may not be talking to a reputable company. Reputable sash window refurbishment services will have no problem with you comparing them to the competition. They are proud of the work they do! Experience matters a great deal, and it is best to use a service that has years in the business. This doesn’t mean that you should not consider a new company. However, if it comes down to a new service of one with years of experience, you are better off with experience. You can tell a lot about a company when they visit you for a consultation. A reputable company representative is always neat in appearance, courteous, and helpful. They should have vehicles with their business name printed on the side. Also, you should not be charged for a home visit or for an estimate. If they want you to pay a fee for this kind of service, this is not a good sign. 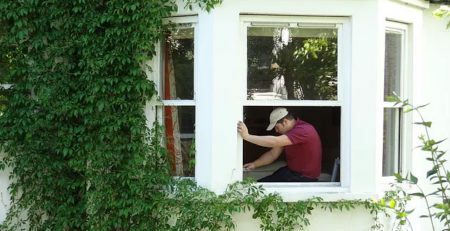 A reputable window repair service will give you a written estimate for the work. Plus, they will not ask you to give them money in advance or for a deposit. If this happens, beware, because many scam artists employ this tactic, and you may never see the money or the company again. The best prices for window renovation are not always the cheapest. After all, it does little good to pay a low price if the workmanship is shoddy or the company is not reliable. The top companies cannot afford to do the work for very little money. If someone quotes you a ridiculously low estimate, then you should be very wary. Extremely low prices and quality work do not usually go hand in hand. Once you find several reputable sash window services, you can then compare prices. If one service seems much higher than the others, call them and ask why the other companies are cheaper. They may have a valid reason for charging more like better materials or a much better guarantee on the work. To find the lowest prices, ask each company if they provide discounts. For example some may offer a lower rate for senior citizens or those that were in the military. Some services may provide discounts for setting up an appointment online. This can save you additional money.